Foy Ardell Seegmiller, age 91, passed away quietly in his sleep on Oct. 20, 2017, at his residence at Spring Gardens in St. George, Utah. He was born May 20, 1926, in Washington, Utah, one of 9 children, to Paul Carroll and Edith Sproul Seegmiller weighing in at a pleasingly plump 11 lbs. with very blue eyes. His childhood was spent playing in the streets, ditches, and hills of St. George. He and his older brother, Paul, made most of their own toys as a youth, including their favorites, the flipper (slingshot) and soap box cars. When they were older, their father took them hunting and fishing. Their family very much depended on the meat. Foy eventually gave up hunting, but he never gave up fishing. His last fishing trip was just a month before his death. While attending Woodward High School in St. George, Foy met Ilene Stirling from Leeds. They dated for two years before he enlisted in the Navy on May 23, 1944, three days after his 18th birthday. He served as Shipfitter Third Class on the ship, USS Braxton until his honorable discharge on June 22, 1946. Foy continued his courtship with Ilene after his return to St. George which meant driving the road between St. George and Leeds often. They were engaged soon after his return and were sealed in the St. George Temple on Sept. 26, 1946, the same day Ilene’s twin sister, Elaine, was sealed to Nyron Sorenson. They had a double wedding reception later that day. Foy and Ilene lived in southern Utah in various homes until 1951 when they moved to southern Nevada, Henderson and North Las Vegas, where they reared their four children. A month before their 25th wedding anniversary Ilene succumbed to complications of diabetes which had afflicted her for over 20 years. Foy began his training as a plumber during his service in the Navy. He worked for several local plumbing companies before moving to Henderson where he began apprenticing to become a journeyman plumber. Except for a year and a half managing a dry-cleaning business while living in the St. Paul/Minneapolis, Minnesota area, he worked as a plumber until he retired on June 1, 1988. At the age of 45, Foy found himself back into the dating scene. At a Single Adults activity during the winter following Ilene’s death, Foy met Marie Smith Peeples. After a brief courtship, he married Marie on July 1, 1972, in St. George. They were later sealed in the St. George Temple. Foy was an active member of The Church of Jesus Christ of Latter-day Saints all his life. He served in many leadership positions in the Church including Bishop, Bishopric counselor, YM presidencies and High Counselor. He performed admirably in all positions of responsibility and authority assigned to him in matters of faith, family, career and country. He leaves behind a legacy of love, service and faith. After retiring from the work force Foy and Marie became Elder and Sister Seegmiller serving on two missions. The first mission was for 18 months to the Kenya Nairobi mission. The second mission was for 23 months to the Bangalore India Mission. Foy served as District President in Rajahmundry and helped lay the foundation for the first LDS stake in India. Last year the third LDS stake was created in the country of India. A visitor from Rajahmundry visited Foy at Spring Gardens in April of this year and told him that the members there still talk about Elder and Sister Seegmiller. After 43 years of marriage, Marie became ill and passed away in December 2013, shortly after they moved to St. George. Following her death, Foy moved in to live with his daughter, Carol Ann, and son-in-law, Truman Leishman. 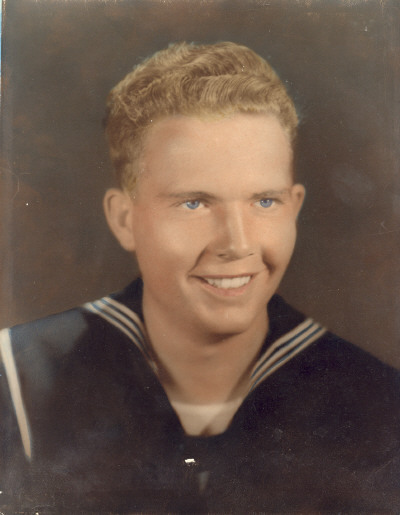 During the time, he would often comment, whenever he would pass by Dixie High School, that he regretted that he didn’t have the chance to get his high school diploma before he enlisted in the Navy. Without Foy’s knowledge, Truman contacted all the “powers that be” to arrange for him to receive a high school diploma. On May 20, 2015, on his 89th birthday, he was surprised when he was given an honorary high school diploma from Dixie High School principal, Sharla Campbell. Foy is survived by his children, Carol Ann (Truman) Leishman (St. George, UT), Myron Daniel (Marie) Seegmiller (Tucson, AZ), Marilyn (Larry) McLay (Springville, UT), Donna Elaine (Gary) Neibaur (Pleasant Grove, UT), and Susan (James) Ward (Oak Harbor, WA). In addition, Foy is survived by his stepchildren, Roger Jackson (Debbie) Peeples, (Las Vegas, NV), Riley James (Rachel) Peeples (N. Las Vegas, NV), Daniel Lee (Sandra) Peeples, (Round Rock, TX), Jenny (Randy) Cote’, (N. Las Vegas, NV), John Edward Peeples (Las Vegas, NV). He is also survived by his sisters Clothele Jensen, VanDyne (Kent) Wilson, Janet (Edward) Gubler, Eve Diane (Gordon) Peterson, and Linda Gail Beatty. Foy’s posterity also includes 46 grandchildren, 77 great grandchildren, and seven great-great grandchildren. Foy is preceded in death by his wives Ilene Stirling and Marie Smith Peeples; his parents; one brother (Paul D. Seegmiller) and two sisters (Fayone Whitehead and Tana Sullivan). He is also preceded in death by two children who died at birth and two step sons Nathan George Peeples (Annette Peeples Packard) and Andrew Jackson Peeples. One grandson (Aaron Jackson Peeples), a granddaughter (Marie Rose Ward) and grandson-in-law Lau (Jacquie) Tuitavuki have also passed on. The family would like to thank his wonderful friends and the staff at Spring Gardens Senior Living for their love and service to him, their amazing crafts and activities, and all the fun he had at their fantastic events. Funeral services will be held Saturday, Oct. 28, at noon at the East Ridge Ward chapel, 912 S. 1740 East, St. George. Visitations will be Friday, Oct. 27, at Spilsbury Mortuary, 110 S. Bluff Street from 5-7 p.m. and Oct. 28 prior to the services from 10-11:30 a.m. at the church.